Big trouble for multiple airlines…system-wide outages across the country. Veuer’s Nick Cardona has that story. Multiple airlines, including Southwest, American and Delta, saw their planes temporarily grounded early Monday morning due to a computer outage in a central system. As a result, travelers can expect lingering flight delays as airlines play catch-up. The Federal Aviation Administration said several airlines experienced issues with AeroData, a program that provides weight-and-balance information that is necessary to grant clearance for takeoff. The FAA said severity varied by airline. Southwest Airlines said the outage grounded flights for about 40 minutes. Airline spokesman Dan Landson said that scattered flight delays are anticipated and customers should check Southwest.com for the latest updates on specific flights. “We’re working with customers on any impacts to their travel plans and we appreciate their understanding as we place nothing higher than the safe operation of every flight,” he said in a statement. By 8:15 a.m. EDT, American Airlines announced via Twitter that the issue, which had affected its regional flights, had been resolved. This technical issue that impacted a few of our regional carriers has been resolved. We apologize to our customers for the inconvenience. 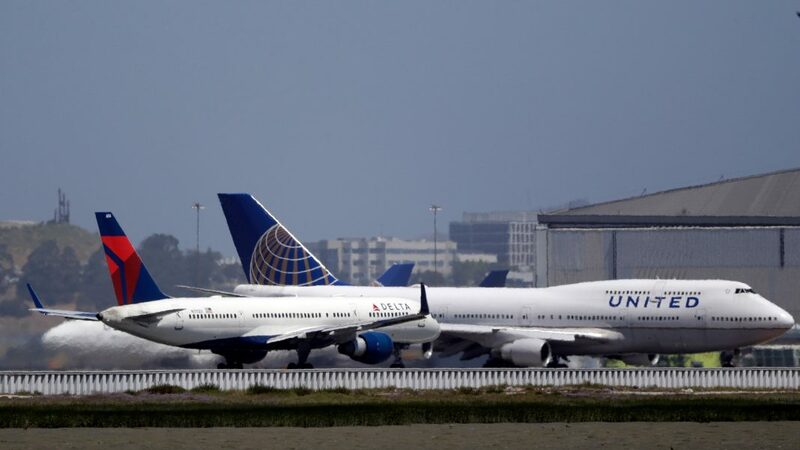 Delta spokeswoman Savannah Huddleston said that airline was also back up and running after the AeroData outage, which had prevented its regional Delta Connection flights from taking off. Delta advised travelers to check their flight’s status. Passengers complaining about the delays on Twitter said they were told it was a pilot paperwork issue. I’m on the runway on a Delta flight and the pilot said the system that gives them clearance paperwork is down and that they’ll hopefully get a system update in 10 minutes.